Every day your project manager will share with you you the status of the project and the plan of attack for that day. We do everything possible to ensure that the interuption of your daily routine is kept to an absolute minimum. If you only have one bathroom, we will provide a functioning toilet each evening. 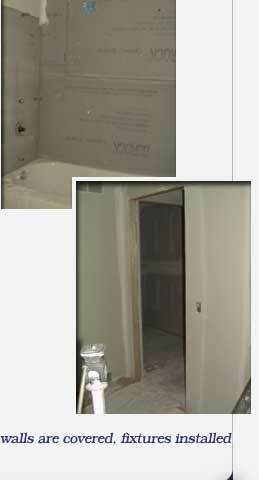 If a bath tub replacement is involved, we will get you bathing (but not showering) by, at least, the second day. At the end of every day the entire work area is cleaned and policed for construction residue. We never leave behind a "construction zone" with trash and scraps, clutter and mess lying around. Except for the bathroom itself you'll never know we were there. And there's no need to worry about dusty footprints or muddy shoes in your home. All of our contractors cover their boots or lay down tarps before they ever step inside.